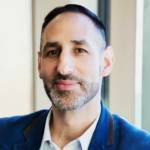 Leor Rotchild is the Executive Director of Canadian Business for Social Responsibility (CBSR), where he promotes responsible Canadian business as a force for good in the world. Prior to joining CBSR, Leor worked with The Natural Step’s Energy Futures Lab, which is accelerating an energy transition in Alberta. Leor is a social entrepreneur, having co-founded a B Corp environmental business called DIG. He also has many years of experience in Alberta’s energy sector, where he served as Corporate Responsibility Advisor to two of Canada’s largest oil and gas companies. Canadian Business for Social Responsibility (CBSR) was founded in 1995. It is a professional association for forward thinking companies and a charitable think tank on a mission to increase the competitiveness of Canadian business while driving collaborative action to solve major social and environmental challenges. Over the past two decades, CBSR has helped hundreds of Canadian businesses advance their CSR, sustainability and community engagement work; convened numerous events across Canada; and developed leading research and reports. 1- Canadian youth is progressive, globally oriented and globally mobile. If Canadian companies want to remain relevant in the future, they need to align their values with those of the millennials. 2- Since Canada operates in a market system, we can incentivize clean innovation in the energy sector without boycotting or divesting from large natural resource companies. 3- While SMEs contribute through bold innovation that pushes their respective industries, incumbent companies have the potential to scale the solutions at the level of the problems. In order to survive, thrive and lead in the future, Canadian companies should develop a culture of innovation, which rewards not just production at the lowest cost, but also creative breakthroughs and positive impact. How has the idea of Corporate Social Responsibility (CSR) evolved since the CBSR was formed and how do you see it changing in the future? Canadian Business for Social Responsibility (CBSR) was established in 1995 and CSR was still a really new idea in Canada at the time. We tend to think that this idea has always been around but it still is relatively new. When CBSR was being introduced in Canada in its earliest forms, its mandate revolved around helping companies to better engage and listen to their stakeholders as well as report more transparently through sustainability reporting. These are standard activities today as part of our companies’ CSR. The definition of stakeholders has changed significantly. For example, future generations could be a stakeholder now, which is different from the original idea of stakeholders. Even the definition of doing good has changed. We are seeing a greater distrust of all the institutions that exist in our society and even of capitalism itself. The problems facing society are so urgent and so complex that no single organization could possibly expect to address them on its own. So, CBSR’s focus has evolved through the last 23 years because today we are focused on developing collaborative frameworks that allow people a greater ability to address major challenges at the scale at which they need to be addressed. CBSR is also trying to reach a consensus on a set of Canadian business values. We are launching them as part of a campaign that we call “Do Business Like a Canadian.” It is important to align corporate values with the values of young Canadians who are progressive, globally oriented and globally mobile. This idea of doing business like a Canadian is understood internationally to mean conducting business at the intersection of sustainability and innovation. In an article you wrote in the Huffington Post, you said that 90% of executives agree that integrating sustainability into their business is important but only 25% of companies actually have some kind of a sustainability business model to attract investors. Why does this dichotomy exist? For the most part, executive leaders understand issues and have a general desire to address them. But they often do not fully commit to adapting their business model and rewarding their staff to take necessary action. Unfortunately, a lot of companies and boards of directors give CEOs a runway that is quarter-by-quarter. So the short-term has been a real barrier to some of the long-term thinking that is required to change companies’ business models. If people’s salaries and bonuses are still tied to producing at the lowest cost and lowest risk threshold possible, then they will not deviate from that focus and will not try new things. We need new business models to reward people for breakthrough results and positive impact. Learning from other case studies and developing long-term visions like 30-year visions and scenarios are a good starting point. Moreover, adapting to different scenarios, designing closed-loop systems and engaging the financial community are all-important. For example, Interface, a modular flooring company, re-engineered its business model by treating its business as a service company, not just a product sales company. It has spent 20 years designing closed-loop manufacturing processes and products, minimizing waste and using recycled materials. Interface’s most evolved prototype product is manufactured in a way that actually sequesters carbon dioxide, making it carbon negative. The company’s dedication to creating a truly circular economy is not only beneficial to the environment, but resonates with its customers who demand more sustainable products. The Transformational Company Qualities (TCQ) guide is a roadmap that CBSR uses to work with companies to help them position their business models and organizations for success in the 21st century. The guide was developed with the help of some of the world’s leading thinkers on this subject and there are 19 different qualities that are included in it. CBSR is about to update and simplify this tool a little further, and our goal is to make it a practical tool for guiding deep integration of sustainable business practices. Do you think large institutional investors could make a real difference in promoting socially responsible business? When I started working in the oil industry a decade ago, I would give workshops and oversee orientation for every new employee who joined the company, as a way to introduce them to the company’s approach on corporate responsibility and sustainability. Every time I would give these talks, there would always be at least one person in the audience who would raise their hand and ask, “Can we specifically draw a line between our work in this area and how our stock is doing?” At the time, it was very difficult to draw that line but that line is very clear now. Responsible investment was a very small portion of the investment industry, but it has become mainstream now. The reasons for doing this are no longer about some corporate leader being courageous enough to take a risk, responsible investment is now about integrating meaningful social change into the investment strategy without completely going off track. The recent open letter that Larry Fink of BlackRock wrote to all Fortune 500 CEOs is an indication that a significant portion of the investment community believes in the profitability of companies that are working on social purpose initiatives. Should the oil and gas industry be the one leading the transition towards a low-carbon economy in Canada? Canada as a country is very fortunate to have natural resources and we are a wealthy nation in large part because of our ability to transform that natural capital into other kinds of capital. We did that for a long time without a clear understanding of all the human and environmental costs associated with that process. Now that we do have that understanding, it is important to pivot to ensure that the net benefits overwhelmingly outweigh the costs. When I hear talk of divestment and boycotts, I think we are missing a massive opportunity to engage the natural resource companies in the solutions. Since we are part of a market system, we have the ability to incentivize companies towards innovation. It is interesting to see carbon being used to create new products like yoga mats, building products and medical devices. If that kind of innovation is coupled with a reasonable price on carbon, there is potential to create a valuable material that we will remember having treated like a waste gas vented into the atmosphere. This reminds me of my time in Yukon. Speaking with people from business, government and academia there, they were all saying: “we are now in year 5 of a 20-year transition to become a knowledge-based economy.” The leaders I met in Yukon saw the mining industry as an important partner in that process. In turn, the mining industry was investing to help drive Yukon in that direction. If all of Canada could follow that example, we would be in really good shape. How does this trend towards more CSR in business open opportunities for innovators and entrepreneurs? Does it threaten the future of larger Canadian companies? We do run some risks in Canada because of the assets that make us a really great place to live, including a strong social safety net, a great health system, a stable government and stable banking systems. All these assets run the risk of making us a bit too complacent. When large organizations are not innovating, they are positioning themselves for a significant fall in the long-term. Because we all want to see Canadian companies succeed and lead in the international marketplace, it is important that companies develop a culture of innovation and align with the Sustainable Development Goals, which provide some form of clarity of what the world will look like in 2030. The contribution that SMEs can make is in bold innovation, which pushes their entire industries to be more innovative. Not only has new communication technology enabled faster deployment, but it has also enabled deployment at a scale that can match the scale of the problem. Over 100 years, an industrial process has been developed to get us to the stage and the quality of life that we are currently at. We need solutions that equally deploy at that scale. Businesses that marry the adaptive business model, sustainability focused purpose, long-term view and innovation at the scale of the problem, are the ones that are still going to be around in 20, 30, 40 years. The pace of the market is cutthroat because companies, which were once the dominant incumbents, are falling by the wayside. If you want to be part of the future, you need to think very differently.